Recorded live on-air at Emerson College's WERS 88.9FM studio, Boston. 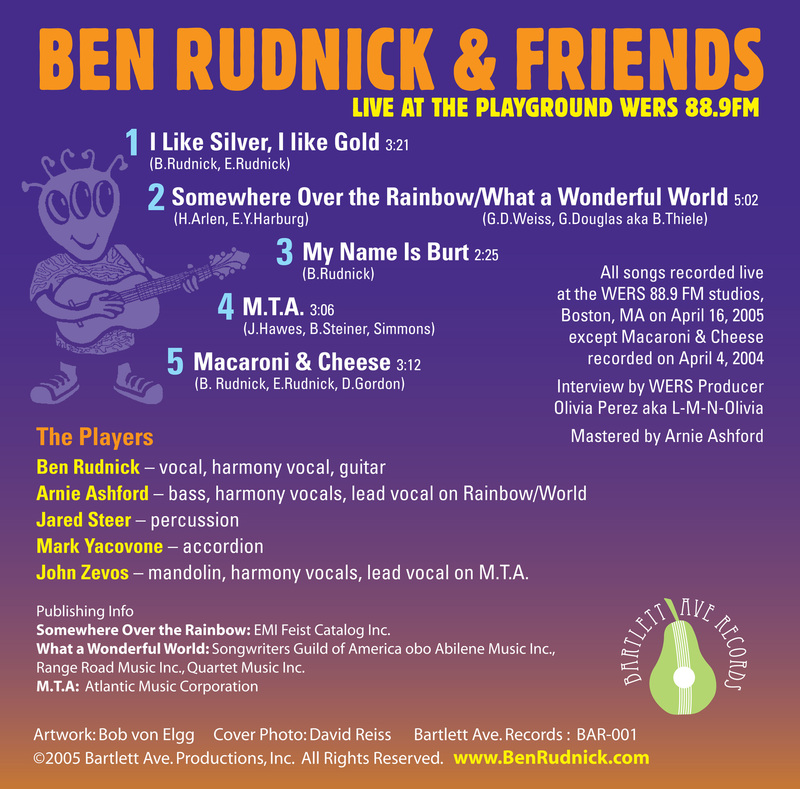 With all the recognition for their studio work, Ben Rudnick and Friends is first and foremost a live band. Playing an adventurous, high-energy blend of happy, upbeat acoustic music BR&F takes off and takes you with them. 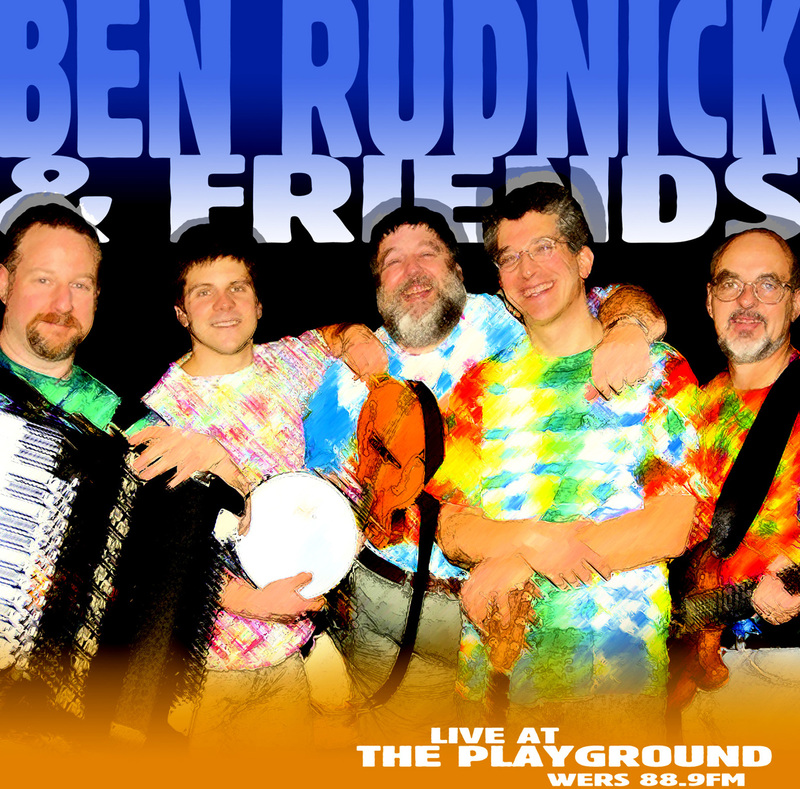 Blending musical styles from bluegrass to reggae, their live shows are events. Everyone is invited. 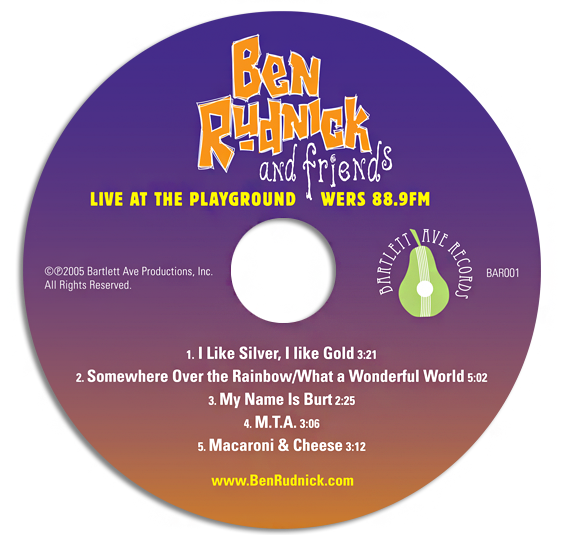 Hear the next best thing to being there on this lively CD!